A family trip to a local Easter Egg Hunt is an important family tradition for many people. Churches, businesses, towns, shopping malls, and even summer camps host hunts for kids on and around the Easter holiday. This year Easter is March 31st so it’s time to plan your family day out. There’s magic in the spring season itself and in the colors and lively activities that Easter brings. In my family, we look forward to our special egg hunt every year, and it has became a tradition of renewal and abundance and working together. At Kennolyn, we know how important traditions are. They guide our camps and other family programs, and kids experience a deeper meaning in the present when these cyclical events also connect them to the past and the future. 2018 marks the 27th annual Easter event for San Francisco. Visiting the event is free, but you can expect to pay for food from the many local vendors, for rides, and for other specialized activities. Before the parade, there will be an egg roll and an egg toss. Kids can also look forward to rides and games, face painting, pony rides, and an entertaining view of all the creative parade floats and costumed characters. You could even enter to compete in an Easter bonnet contest! You are guaranteed to find non-stop excitement, but it could be a bit overwhelming to navigate through the expansive event, especially with smaller children. Activities for kids up to 10 years old will start at 9:30. You can meet and take a photo with Mr. Fun E. Bunny. The Egg Hunt goes from 10:00 to 10:30, and start times will be staggered for kids of different ages. The egg and candy hunt for kids 2–12 years old will begin at 10:30 AM. This free event includes crafts, bounce houses, face painting, and pictures with the Easter Bunny. Event held rain or shine. Please bring a basket to collect the goodies! The event is open to children 2 to 12 years of age with the field divided into smaller age groups. Following the egg hunt, at noon, is the Bunnies & Bonnets Easter Parade. Kennolyn has designed this event so that all kids can have a fun and successful time spread out across large, open spaces. Count on this event being entirely free—for parking, coffee, snacks, crafts, photos with the Easter Bunny, and the Easter Egg Hunt. 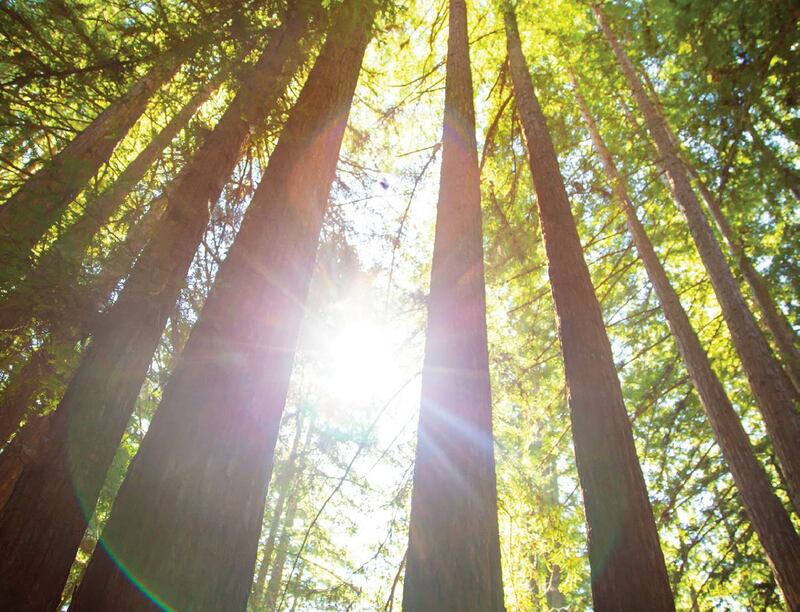 The whole family can enjoy the event together on this beautiful, peaceful site in the Santa Cruz Mountains. 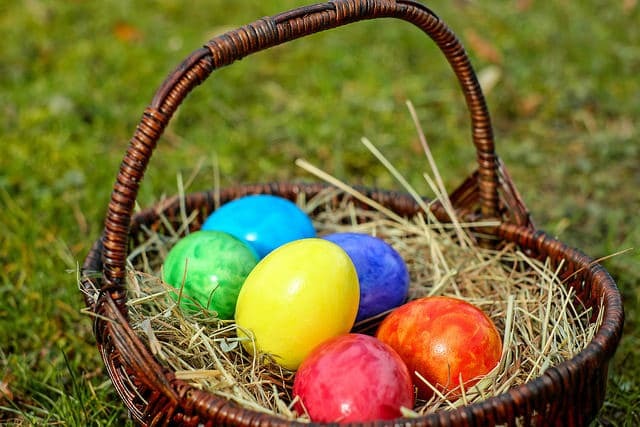 There are two separate egg hunts at 10:30–11:00 AM and 1:30–2:00 PM. Toddlers will have their own sheltered area to explore for eggs. For kids of other ages, they can explore in different search areas, which will be temporarily closed and replenished as soon as the eggs run out, so the hunt can continue! Following the Egg Hunts—around 12:00 PM or 3:00 PM—you can join us for a tour of our summer camp properties. The Easter Egg Hunt is our biggest community-wide tradition, and we hope you’ll join us.